Anyone who enjoys space RPG games and dungeon crawling, might be interested in this new StarCrawlers game for PC, Mac, and Linux which is currently under development by Juggernaut Games based in San Diego, California. 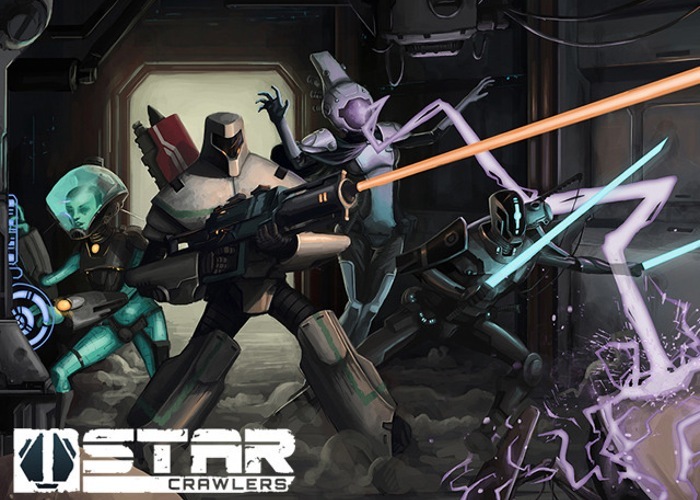 Within the new StarCrawlers game you lead a crew of freelance adventurers and navigate corporate intrigue on the fringes of space in a classic sci-fi dungeon crawl style game. Watch the video after the jump to learn more about the StarCrawlers game and see it in action. The StarCrawlers project is currently over on the Kickstarter crowd funding website looking to raise enough pledges to make the jump from concept to reality. So if you think StarCrawlers is something you might enjoy playing, visit the Kickstarter website now to make a pledge and help StarCrawlers launch.